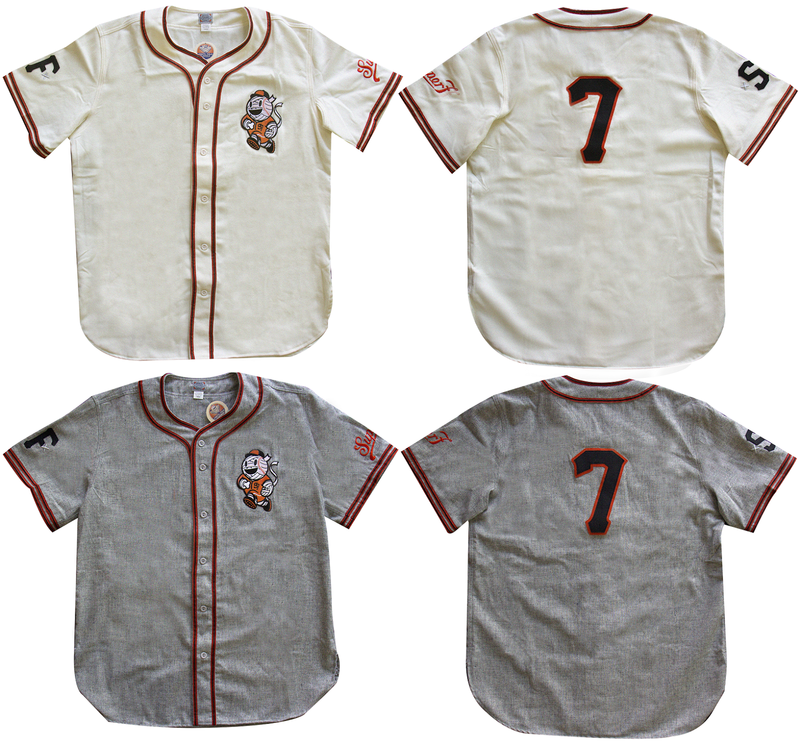 Check out this awesome new collaboration between Ebbets Field and Super7, a classic “authentic vintage” Baseball Boy baseball jersey inspired by the San Francisco Giants! Each jersey was individually handmade with authentic 1950s era baseball wool flannel by Ebbets Field in Seattle. 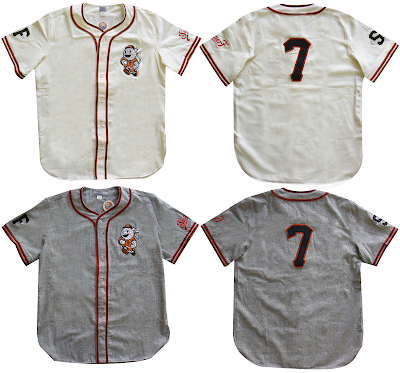 The Super7 jersey, available in cream or grey, features an embroidered Baseball Boy mascot patch on the front left chest, a custom number “7” felt appliqué on the back, felt “SF” letters on the right sleeve (for San Francisco naturally), the “Super7” script logo embroidered on the left sleeve, and orange with black trim. Ebbets Field has been handcrafting beautiful mid-century inspired athletic garments since 1988, and this is their second killer collab with the fine folks at Super7. The Baseball Boy Ebbets Field Vintage Jersey is available now at the S7 online store and both of the Super7 San Francisco stores for $250.